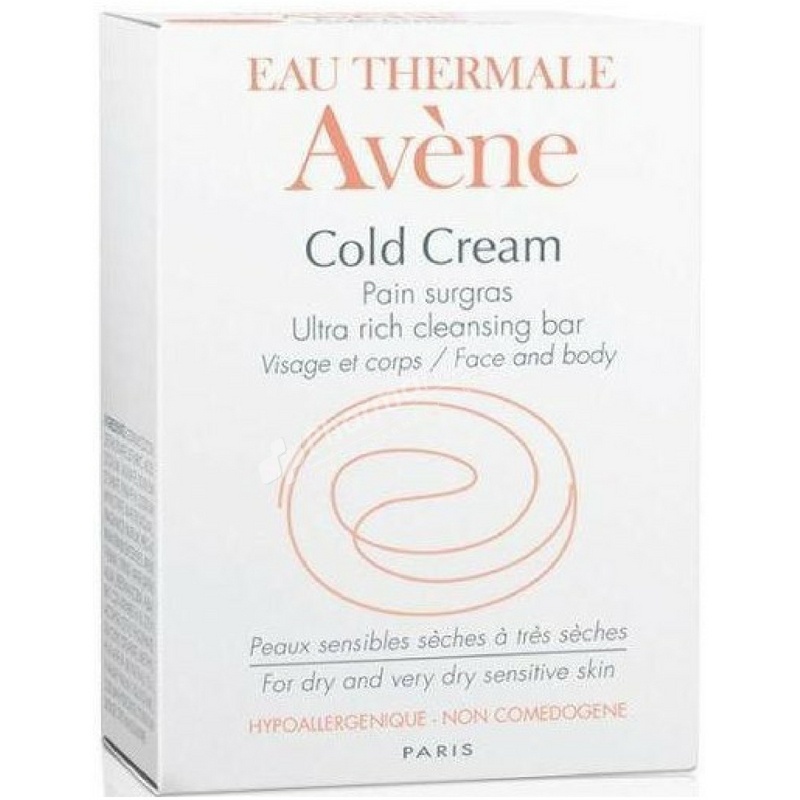 Particularly smooth and lightly scented, Cold Cream Bread Surgras cleans the skin gently, respects the movie hydrolipidic, and leaves the skin with a protective film extremely comfortable. Formulated without soap, it respects the physiological pH of dry skin & very dry skin. Nourishing and protective: Thanks to its rich cold cream and assets creamy. Anti-irritant and soothing: Thanks to its richness in Avene Thermal Spring Water. Hypoallergenic and non comedogenic, pH = 6.5. To use on the face and the body. Disodium Lauryl Sulfosuccinate, Maltodextrin, Sodium cocoyl isethionate, Stearic Acid, Aqua, Talc, Cetearyl Alcohol, Paraffin, Ceteareth-6, PEG-45 Palm Kernel Glycerides, Avene Aqua, Cera Alba, C20-40 Pareth-10, Cetyl Alcohol, Cetyl Phosphate, Citric Acid, Parfum (Fragrance), Glyceryl Stearate, Methylparaben, Cera, microcrystalline Paraffinum Liquidum, Polyethylene, Sodium Hydroxide, Titanium Dioxide, Triethanolamine.